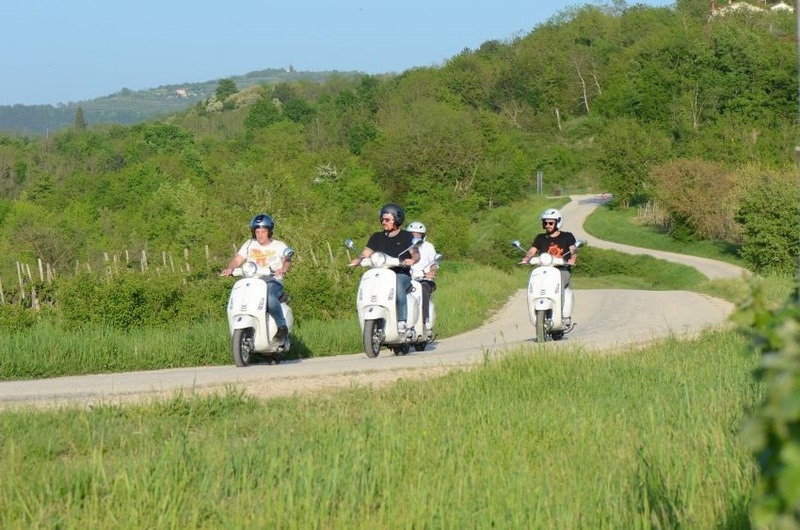 Join us to spend relaxing day out, feeling free on a Vespa scooter ride. 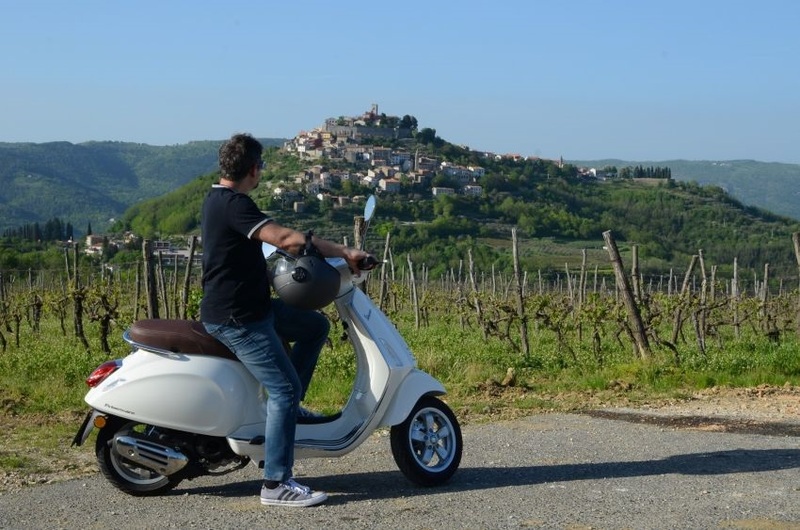 Come and enjoy the great day out on a laid back and relaxing day tour with Vespa scooters, small groups, friendly and personal approach - be treated as a friend not just any tourist. 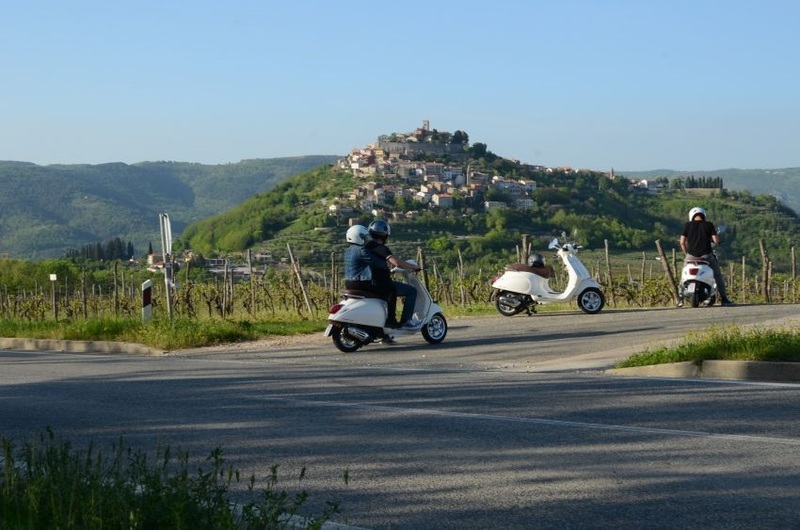 Small groups, relaxed atmosphere, slow life on the Vespa drive being there in the nature, lot of historic sites, and background scenery of life how it used to be. April to November - or by request. Participant should wear appropriate clothes and footwear (please not open shoes, flip flops). Wear comfortable clothes. 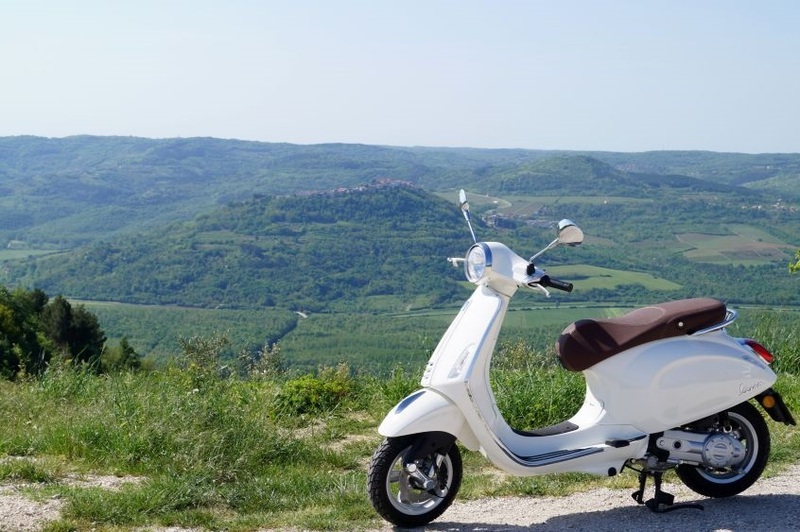 Take into account you will be driving a scooter. pickups at your accommodation upon request, with possible supplement. 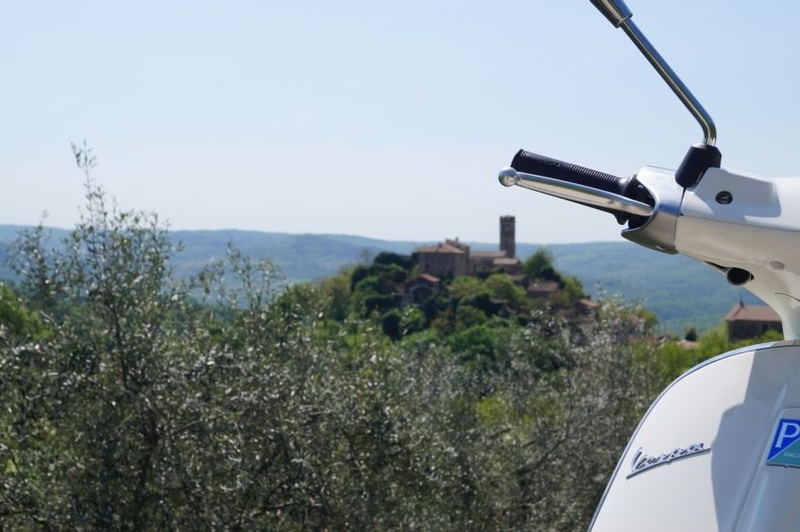 Private Tour also available upon request. 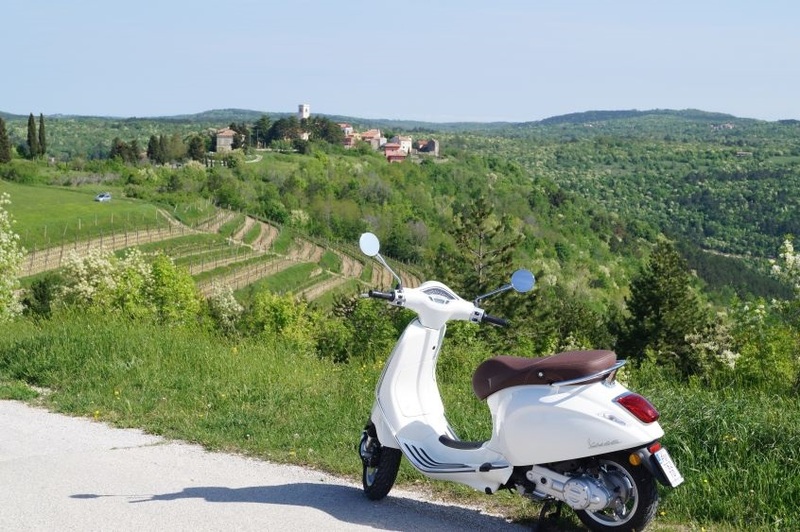 Ideal for people staying in nearby places from Motovun. 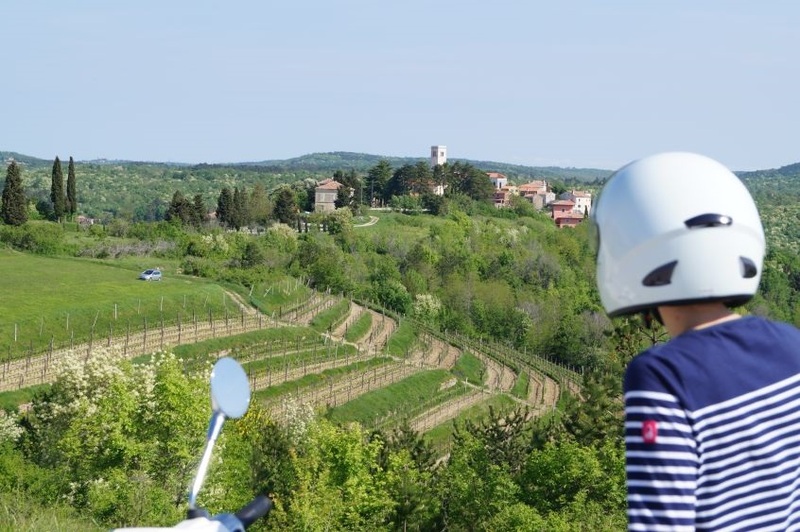 The company Montona tours d.o.o. 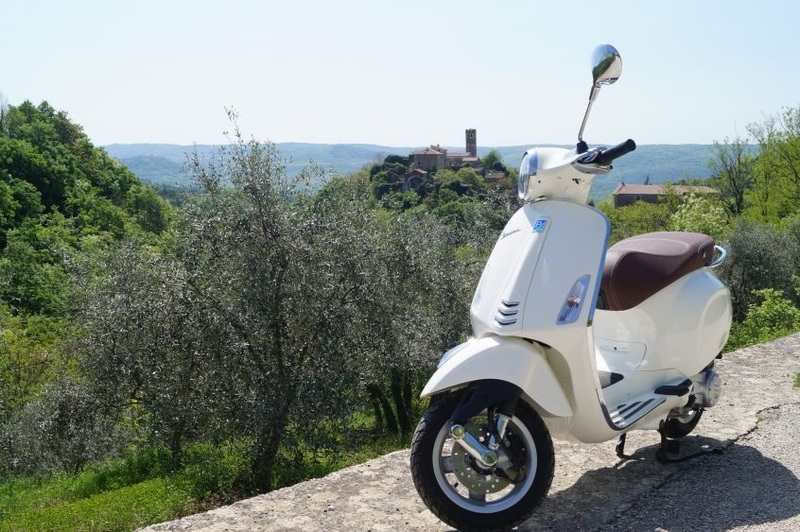 provides clients with scooter/vespa and helmets that will be delivered in perfect working condition and which must be returned by the client in the same condition at the end of the excursion (security deposit will be taken and returned if all ok). 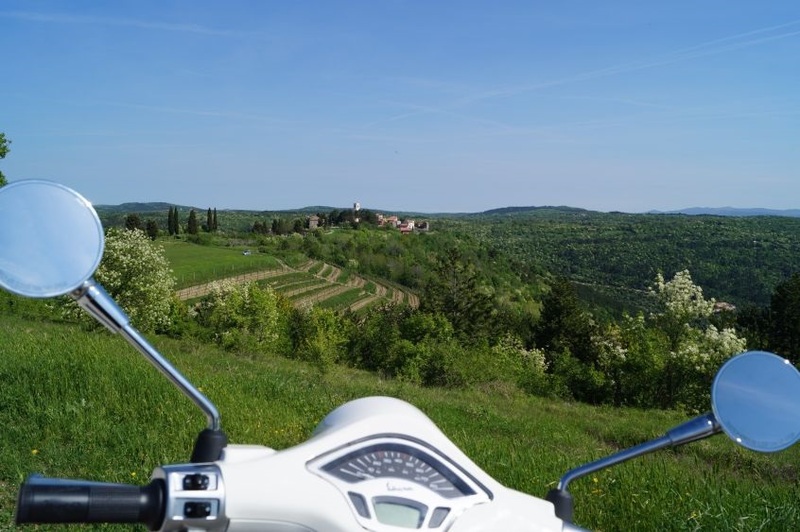 Participants will be accompanied during the excursion by Croatian, Italian or English speaking tour escorts. 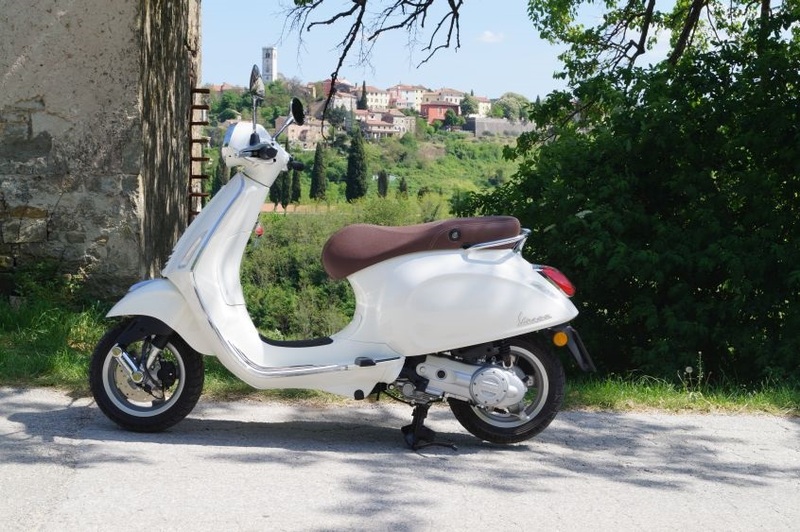 Vespas are all with 50 ccm engines, so no special drivers licence needed. 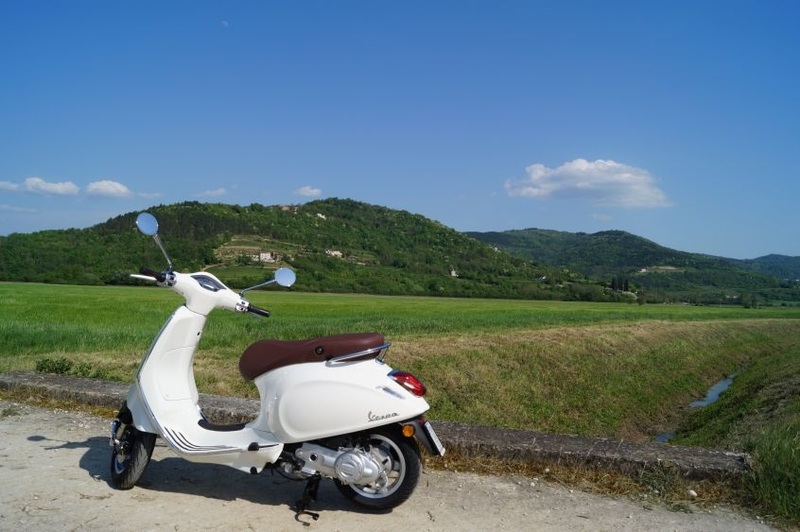 Automatic transmission, easy to operate.